In a large pot over medium heat, melt ghee. Add onions, celery and carrots and a pinch of salt to the pot and let cook until tender, about 5 minutes. 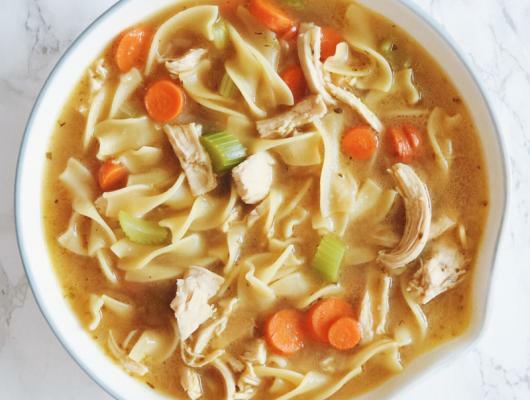 When the vegetables are tender, add chicken bone broth, chicken breast, egg noodles, oregano and basil leaves. Bring soup to a boil, then reduce the heat and let simmer until all the flavors have melded, about 20 minutes. Season with salt, to taste. Serve on a cozy day at home. 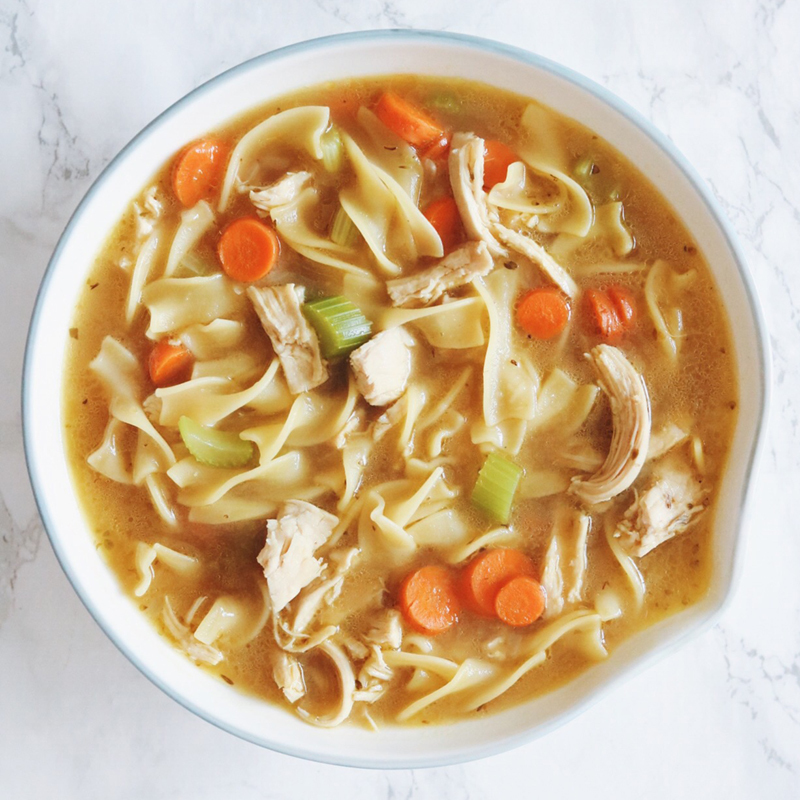 We've upgraded the nutritional value of this hearty chicken noodle soup by using collagen-rich bone broth instead of regular stock or broth.